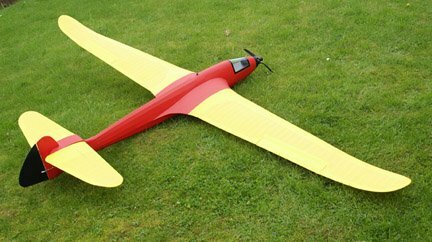 Probably one of the most beautiful gliders designed, the Fillon Champion is available now as a Parts Set. 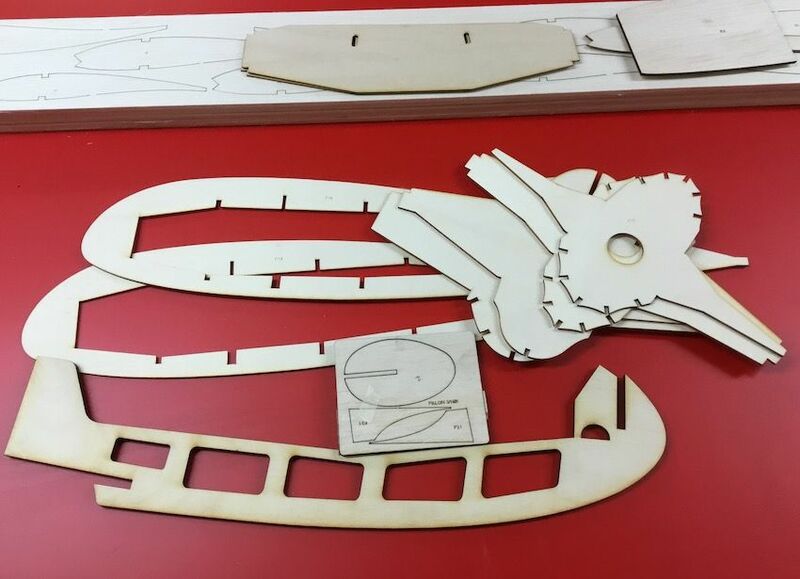 The Belair Parts Set includes all the shaped wood parts required to build the airframe, including formers, wing ribs, tail components, internal keel parts, wing tongues. 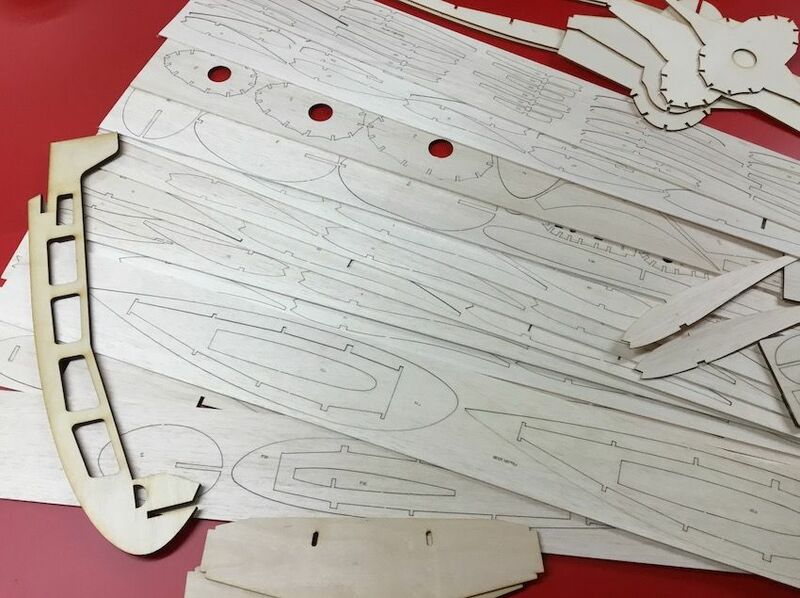 The Champion parts are extremely complex with internal lightening holes, requiring many hours to cut by hand - order the kit and all this tedious work is done and you can start building straightaway. Please note our parts set represents the original Fillon Champion and does not show any modern modifications, such as electric power, tube wing joiners that some builders have made. 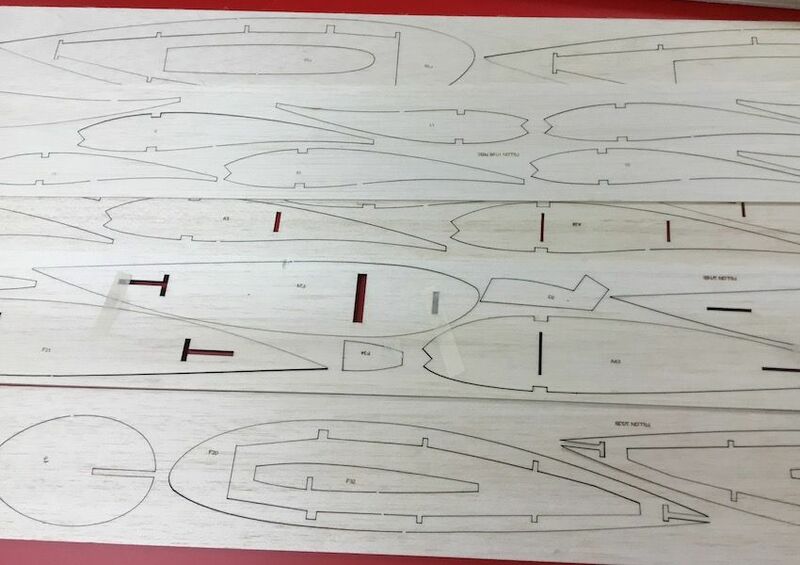 Stripwood or covering is not included. Plan is included which is annotated with constructional details - no instructions were ever published. Thank you to John Bowring for the photo of his third Champion built from Belair parts! This one is converted to electric power. 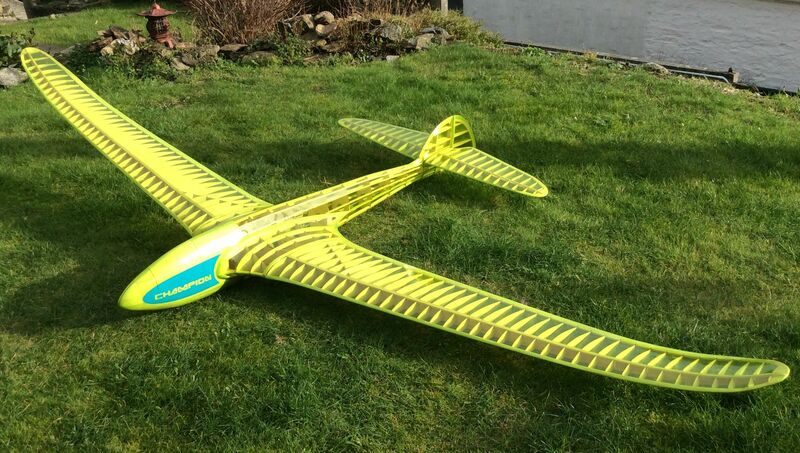 Additional thanks to John Woodfield, UK for the photos of his yellow Chamion, another oustanding model.